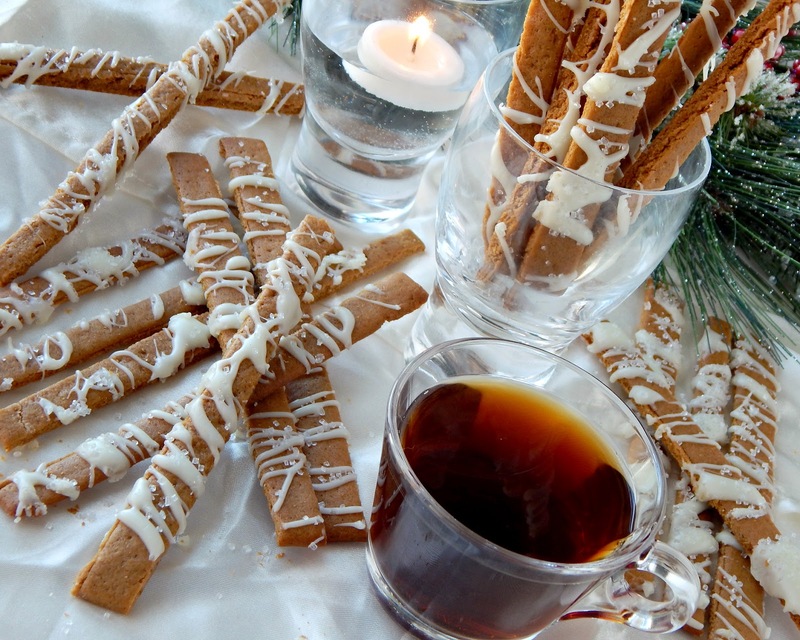 Here's a slightly more sophisticated take on the classic gingerbread cookie, letting you serve with style and dunk and crunch with joy. 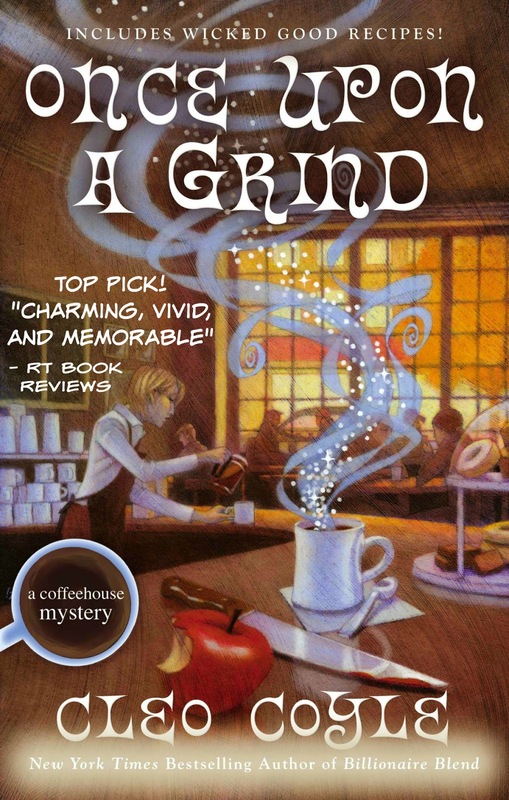 from my Coffeehouse Mystery Once Upon a Grind. 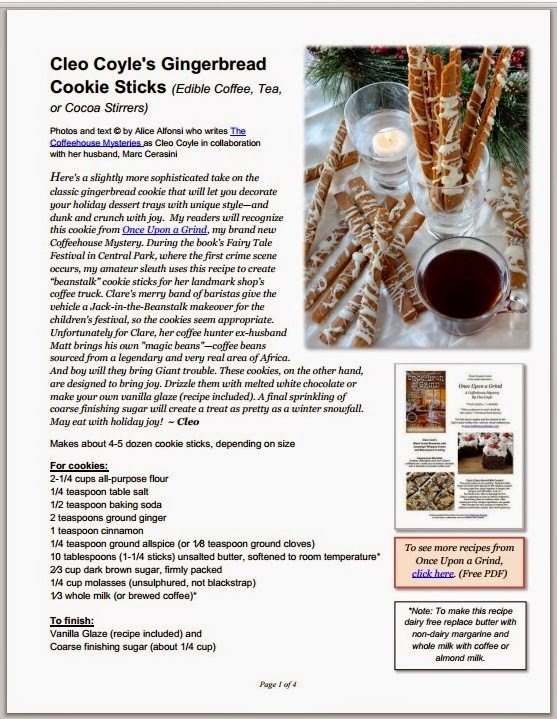 During the book's Fairy Tale Festival in Central Park, where the first crime scene occurs, my amateur sleuth uses this recipe to create "beanstalk" cookie sticks for her landmark shop's coffee truck. Clare's merry band of baristas give the vehicle a Jack-in-the-Beanstalk makeover for the children's festival, so the cookies seem appropriate. Unfortunately for Clare, her coffee hunter ex-husband Matt brings his own "magic beans"—coffee beans sourced from a legendary and very real area of Africa. And boy will they bring Giant trouble. These cookies, on the other hand, are designed to bring joy. 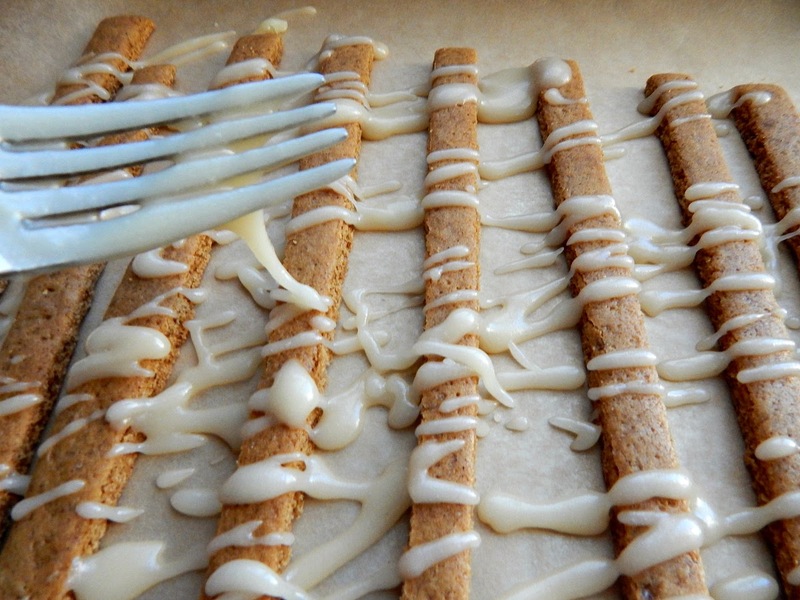 Drizzle them with melted white chocolate or make your own vanilla glaze (recipe included). 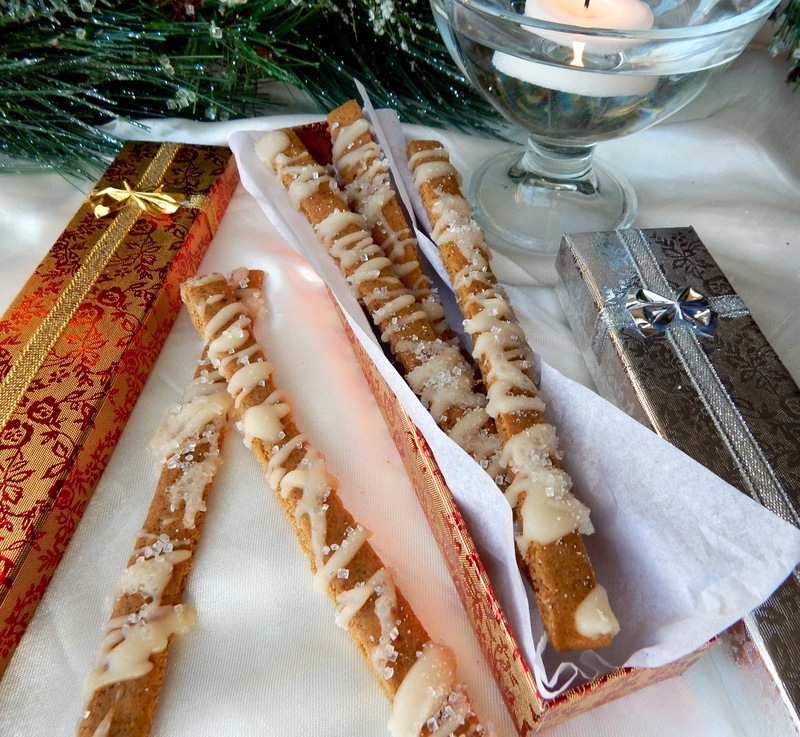 A final sprinkling of coarse finishing sugar will create a treat as pretty as a winter snowfall. May you bake them with love and eat with holiday joy! 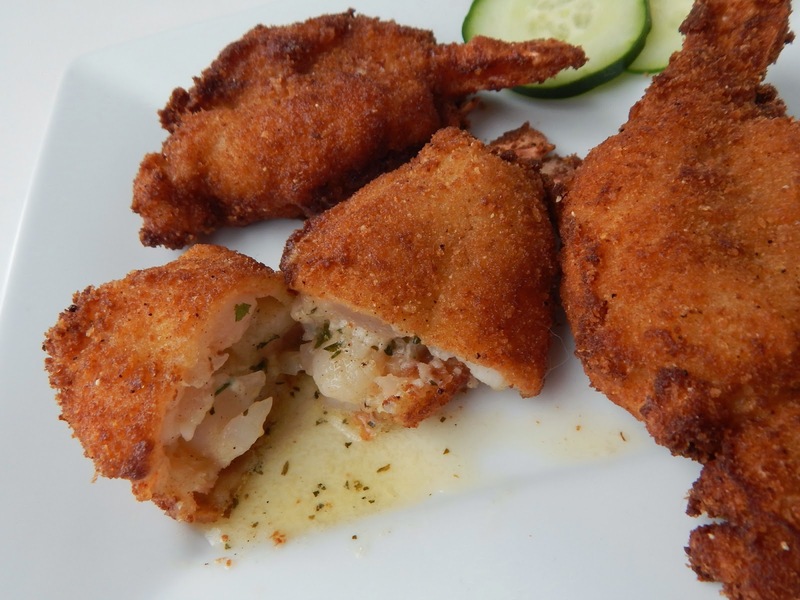 To download this recipe in a free PDF document with additional step-by-step photos, click here. Print, save, or share it. 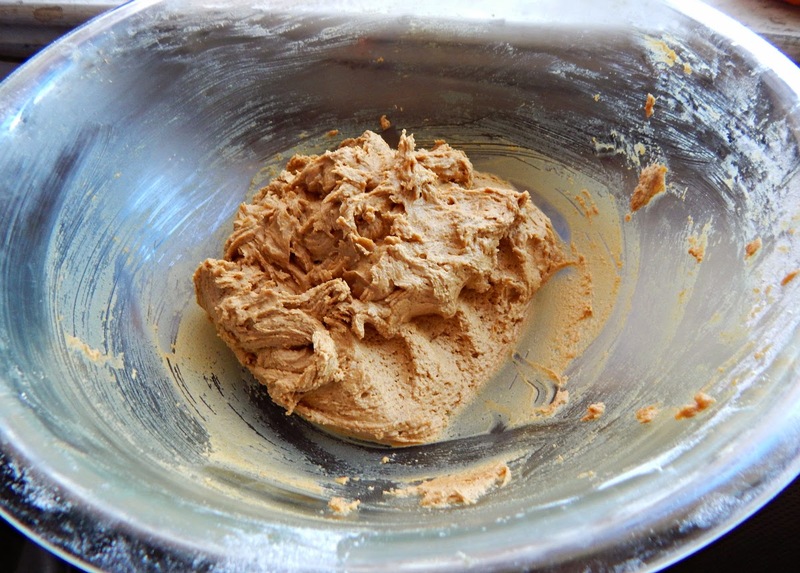 Troubleshooting note: The dough should be sticky and in the next step you will chill it to harden up the butter, but you may need to adjust the dough slightly, depending on your climate, brand of flour, and vagaries in measurements. All this to say: If your dough seems particularly wet, beat in a bit more flour. 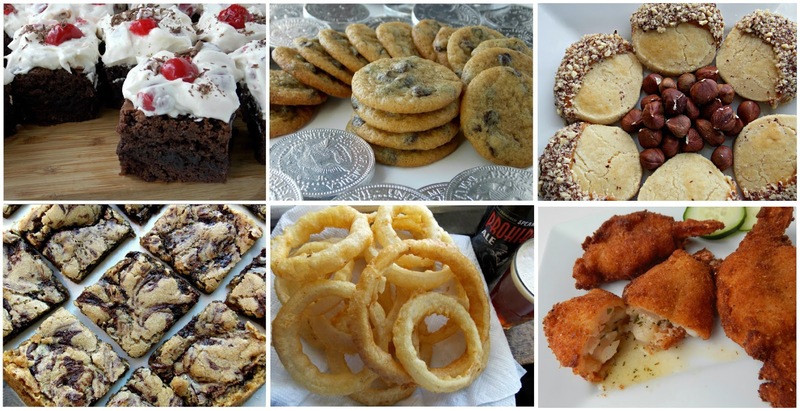 Just don't overdo it because too much flour will toughen up your cookie. Step 4—Roll the dough. First, preheat the oven to 350°F. 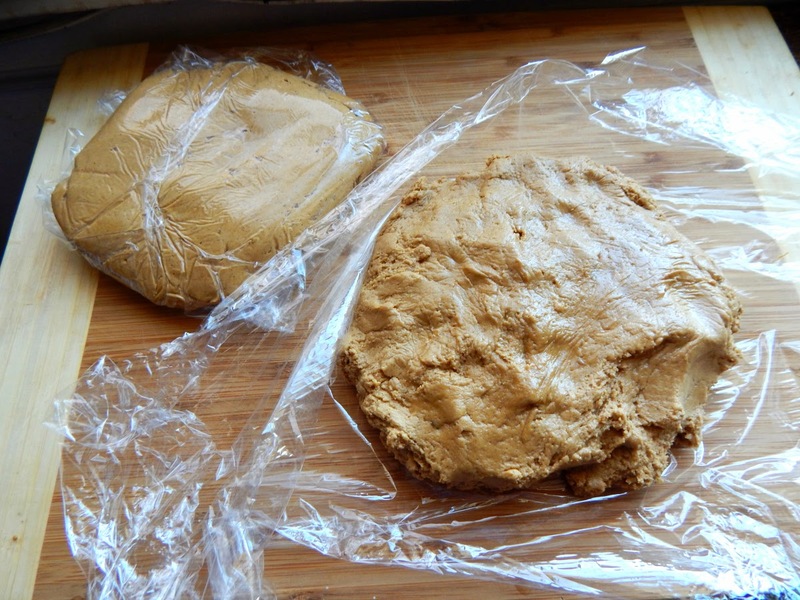 Remove the chilled dough disks from the fridge and (if too hard) allow to warm just enough to become pliable. Place the dough between two sheets of lightly flour-dusted parchment paper. 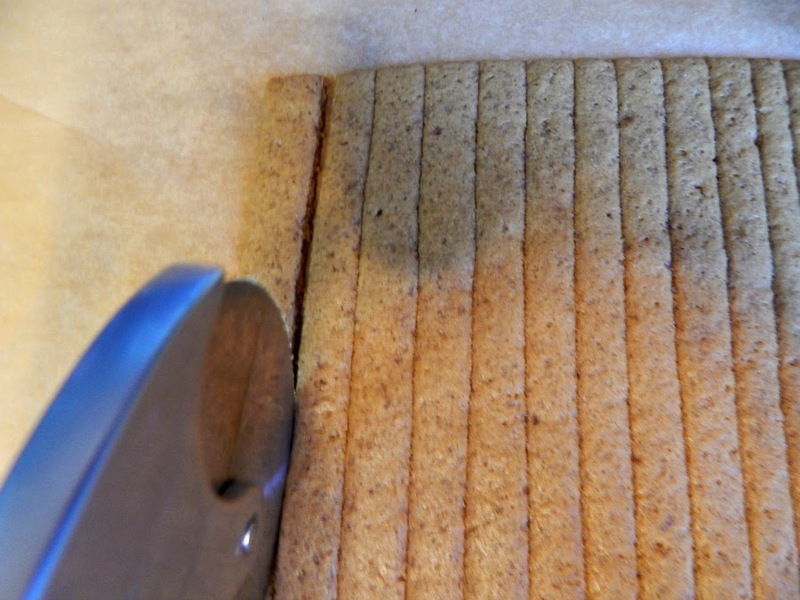 (This is a great method for rolling cookies because you will only need the lightest dusting of flour, which will keep the cookies from toughening up.) Roll your dough thin, about the thickness of a pie crust (around 1/8 inch). Troubleshooting: The biggest issue you may have in rolling this dough will be the dough’s stickiness. This will depend on your climate and the weather. If the dough becomes too warm as you roll it and it sticks too much to the parchment paper, simply slip the whole thing onto a pan and place the pan in the fridge for 15 minutes or freezer for 10. 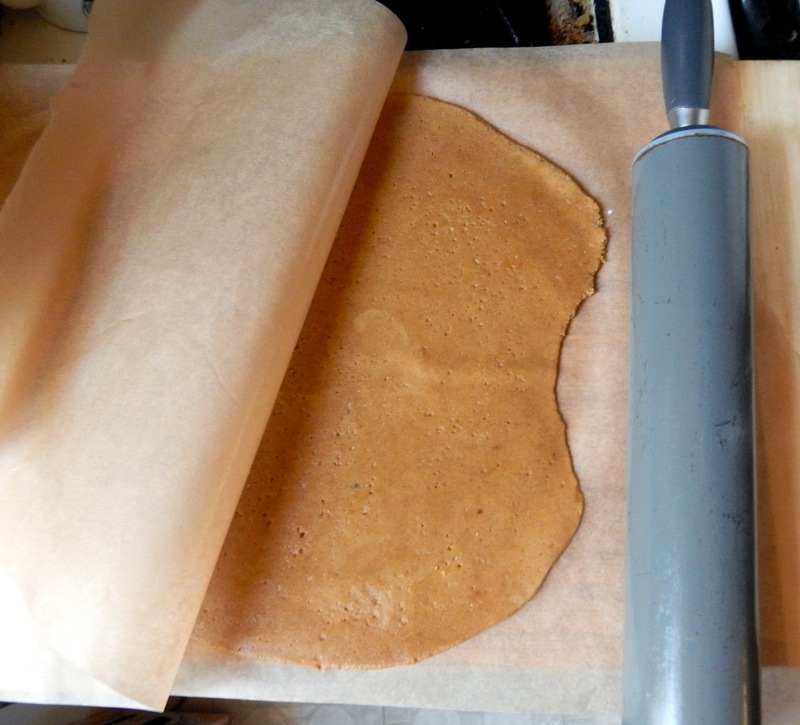 Once the rolled-out dough is chilled, it will firm up and easily separate from the paper. Step 6—Bake. Bake for 10 to 13 minutes. 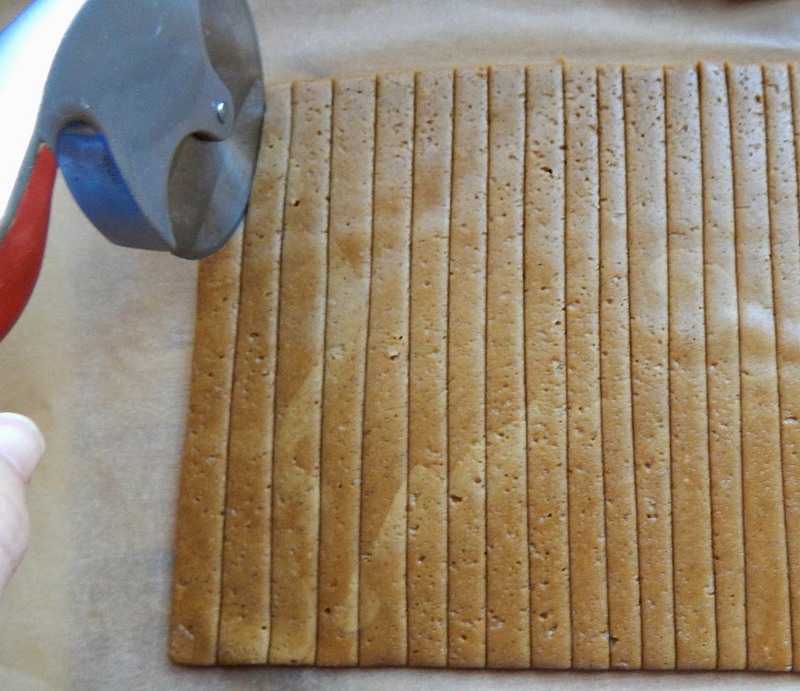 When the cookies are finished baking, you will need to recut them and you must do this while the cookies are still warm. Gently slide the entire sheet of parchment paper onto a cutting board or a sturdy counter surface and use your original slicing lines as a guide. The pizza cutter will make quick work of it, roll from the top down, as you see in my photo below, so you can easily follow your lines. 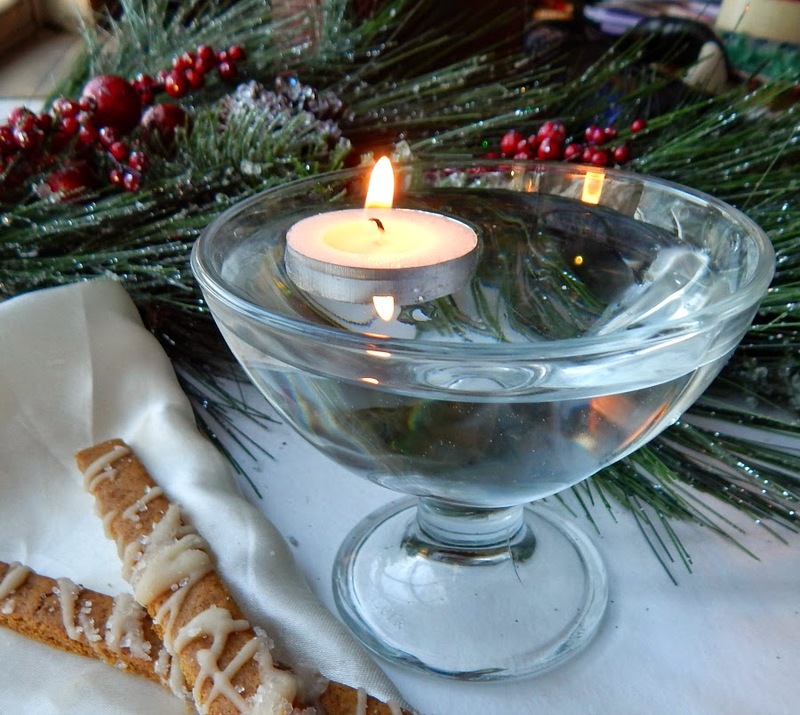 A little reminder of a common way you can make your tables appear more festive and romantic during the holiday season. (Do you do this, too?) Find pretty glassware, making sure it's thick, sturdy glass. Fill or partially fill the containers with water and float tea candles in them. in our holiday memories contest. 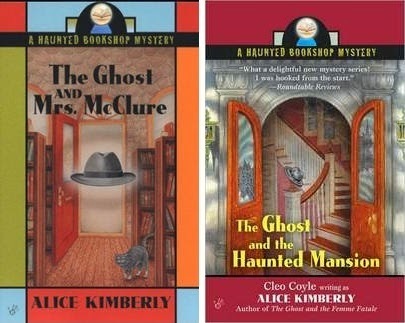 Not a creature was stirring, but with these we will be! 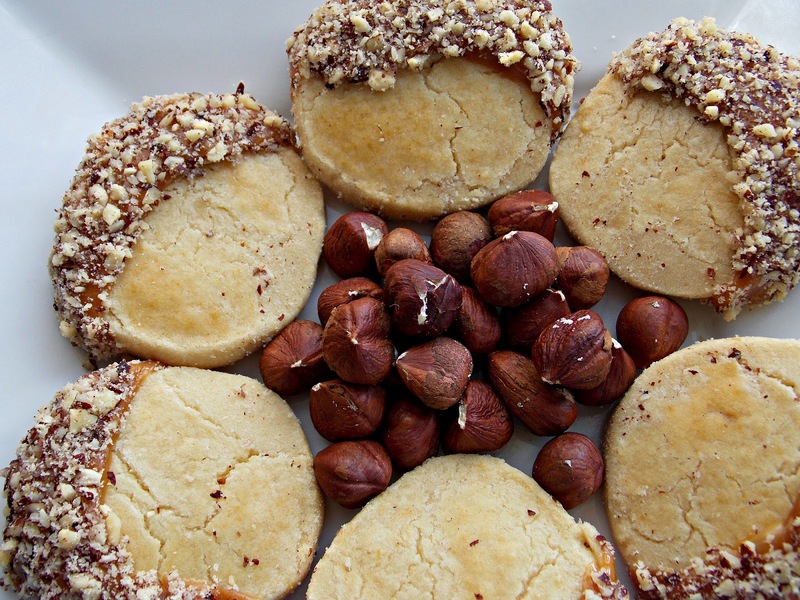 What beautiful photos and what a delightful cookie to serve with coffee or tea. Yum! 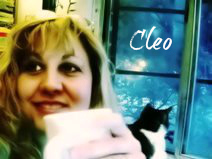 Cleo, love it! And a fun candle tip. Perfect. I do "do" that. So festive. Happy holidays to you, too! 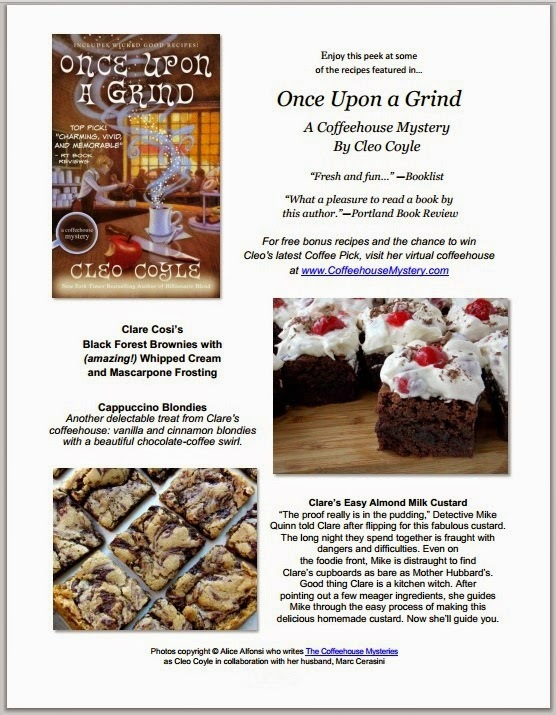 What a nice recipe and easy. The pictures are inviting as always. Makes you want to walk right into your computer. 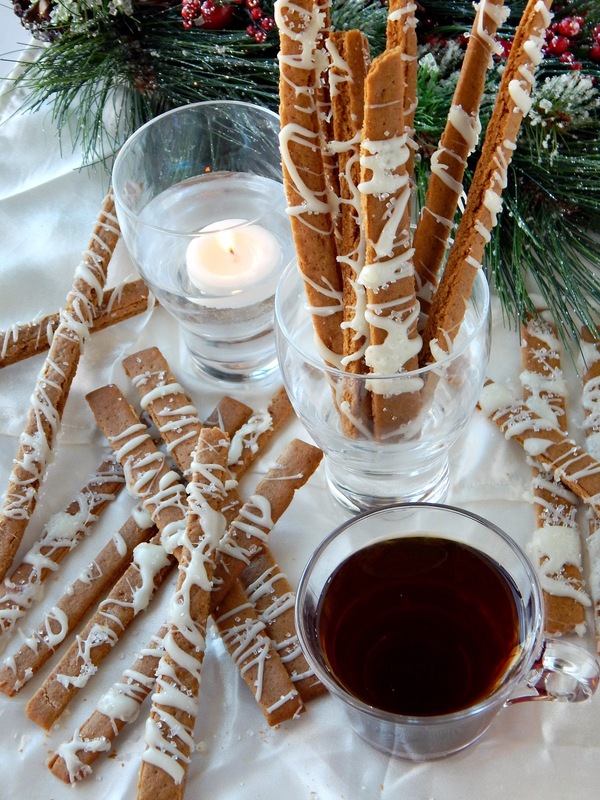 These looks so yummy and festive! I love the candle tip, too. Going to try both! 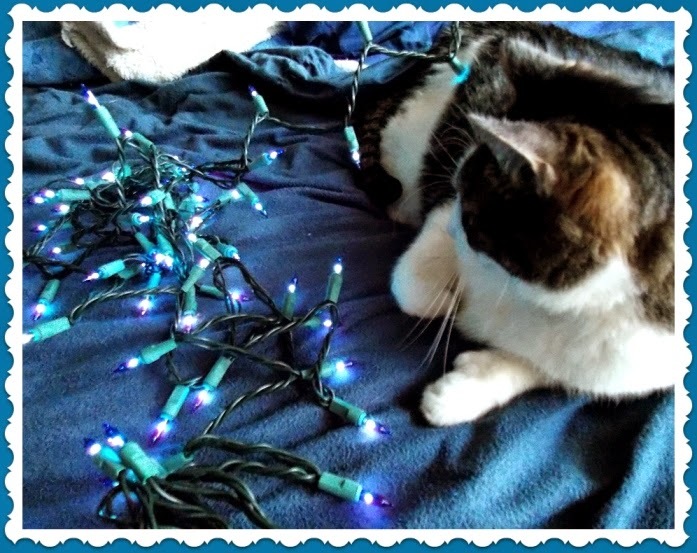 Such a great celebration of the season here, Cleo, with your gorgeous decorations and photos. I love the stirrers! Something different and very delicious. My nephew's first Christmas.... he was just starting to walk. It was a magical day for all of us. The year my brother and his family came up from Florida for Christmas. It was a full house with 15 of us. After dinner and presents, we sat around the kitchen table and played a game of high-low-Jack. Buying the biggest Christmas with my family. 1964 at my folks home in northern MN. Grandparents came by train from PA, brother and family flew in from TX, my family drove up from southern MN. Only time we were all together - beautiful memories. Seeing two women cry when their mother who has not responded to anything in years smile at the sight of Santa.